Robert A. Bonner was born in Alabama, but at a young age he moved to Jacksonville, Florida. He earned his Bachelor of Arts Degree in Criminology and his Juris Doctor from the University of Florida in Gainesville, Florida. 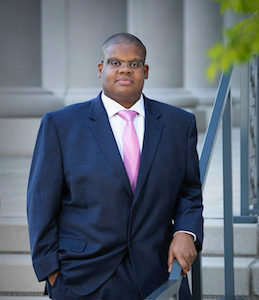 He began his legal career as a volunteer attorney with the Office of the Public Defender, Fourth Judicial Circuit, Jacksonville, Duval County, Florida. He later served as a law clerk for the Honorable Pauline Drake, County Judge, Jacksonville, Florida. In 2017, Robert A. Bonner joined the law firm of Reginald Luster, P.A. as an associate attorney. Mr. Bonner practices in the areas of personal injury law, wrongful death law, insurance law, and criminal defense law.